Joe O’Sullivan, Regional Director at John Sisk & Son tells Irish building about the implementation of Lean Construction throughout the business and how Sisk are defining and delivering increased value for their clients through the elimination of waste from the construction process using tools and processes appropriate to project needs to drive a culture of collaboration. John Sisk & Son have a very clear vision – “To be the best at Creating Value for our Customers, Shareholders and our People”. Upholding this vision demands a culture of continuous improvement, constantly challenging the current ways of doing business along with maximising the benefits that can be derived from new technology for example. In 2016, the senior leadership team of the business recognised the additional benefit that could be delivered by actively embracing the principles of Lean Construction, and implementing Lean thinking coherently across the business. In doing this, they recognised that many of the key principles of Lean thinking mirror Sisk’s core values of being customer value centric, respecting the contributions of staff, and caring for those who work for and with them. Joe O’ Sullivan is a Regional Director focused on the delivery of construction and commissioning solutions for Life Sciences clients. His top priority is the safe delivery of projects, underpinned by worker engagement and commitment. His second passion is an absolute belief that John Sisk & Son can deliver projects far more efficiently through increased collaboration, eliminating overlap of effort and maximising the use of technology. 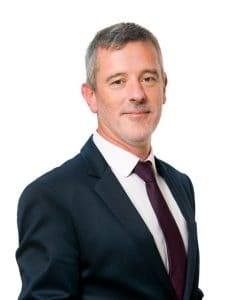 Joe O’Sullivan says being “ISO-accredited in safety, quality, environmental management, sustainability and a leader in the use of BIM, most aspects of performance are already measured, both on a project-by-project basis and on an overall company-wide basis. The challenge, therefore, was to define ‘Lean for Sisk’ and to develop a Lean programme which complements what we are already doing. In taking on the challenge of developing a Lean programme for Sisk, the first step was to review Lean from first principles – Lean theory and thinking was developed initially in the manufacturing sector, where the work environment is typically static, and where components generally move through workstations. The construction process is fundamentally different – the work environment is continuously changing, and the worker and materials typically move around the project. The practical application of Lean practices to construction projects with a demonstrable improvement in output is not therefore as immediately obvious as it may seem – it all sounded like a great idea, but how to implement it in practical terms was central to the challenge. The concept of Lean Construction evolved during the 1990’s, concerning itself primarily with improving certainty, reducing variability and delivering better outcomes in the construction process, and seeking to apply Lean Manufacturing principles to the construction industry. Much of the research and current practice relating to Lean Construction internationally appear to focus on short-term planning, site communication and ownership of the reduction of physical/time waste with a systematic approach to identifying the underlying causes of failure to deliver work to schedule. Key concepts included within Sisk’s Lean programme are those of leadership by example, accountability and ownership, recognising that those closest to the working environment are often best placed to identify improvement opportunities, and the importance of the “visual” in the way work is structured, reviewed and reported. Sisk’s vision statement for Lean reflects a holistic approach, one which encompasses their full supply chain and their people, and endeavours to maximise value and eliminate waste within the overall process, not simply focusing on direct Sisk effort, cost and waste. “Sisk have historically undertaken client surveys, typically after completing projects, with the intention of getting feedback on how our clients rated us on various aspects of our performance based on safety, quality, communication etc.”, Joe explains. “This feedback has been used to review both our approach and our processes and shape our ongoing business improvement.” He describes how Sisk have now implemented a much more bespoke client feedback process with two significant changes – in the first instance, Clients are engaged early to determine as accurately as possible each client’s key priorities; secondly, regular surveys are undertaken during the lifetime of a project allowing Sisk to change, fine-tune or improve their delivery on any aspect of a project based directly on customer feedback during the project. Sisk have found generally that clients have responded very positively to this approach – the surveys are externally facilitated by an independent third party and are designed to be very efficient with their clients’ time. Most importantly, the follow-up actions from Sisk senior management to proactively address any issues has been welcomed and seen by many clients as another key differentiator in delivering increased value. 1. What we could do to deliver more value and reduce waste? 2. What more we could do to generate the right working environment for our people? 3. What we could do to reduce the frustrations and waste that get in the way of productivity and the safe and efficient delivery of our operations? There was an enthusiastic response to the process with hundreds of innovative suggestions and ideas coming from the workshops. Subsequently, a dedicated central Performance Team lead by Owen Sisk (Performance Director) was established, charged with distilling these ideas into tangible/practical change programmes that could be implemented throughout the business – all of which are focused on adding value through reducing waste/inefficiencies while maximising the return on investment of implementing new technologies. The nature of the Sisk business is project-centred; therefore, most of Sisk’s changes will happen with the project teams. Sisk’s internal processes are being rigorously challenged to understand whether they are consistently delivering value, whilst ensuring greater distribution of ownership and accountability to the project teams. In essence, the aim is to enable and to empower those closest to the workplace to identify and implement change. As part of Sisk’s research towards developing a Lean programme, they identified a small number of Lean consultants both in Ireland and in the UK with whom they could do some initial work. This involved a dual approach – training of Sisk staff to understand Lean concepts and principles, helping them to identify change opportunities on their own projects and in the company’s internal processes, and separately undertaking “Guided Lean Programmes” on a small number of projects. Sisk selected staff from all disciplines – site managers, quantity surveyors, engineers, planners, safety professionals, finance and HR departments – to undertake Lean Six Sigma yellow belt training. These staff have subsequently engaged in delivering company-wide process improvements such as reducing internal administrative waste, improving Sisk’s project mobilisation process and developing an online induction/on-boarding process aimed at reducing variation and effort in getting their supply chain working efficiently on sites. In 2017, Sisk identified five trial sites where they believed they could secure some “easy wins” from a Guided Lean Programme – this concept involves a project-specific Lean programme where Sisk’s project team, supported by external experts, identify key areas either of value add, waste reduction or collaborative initiatives from which the project would benefit. Joe explains how the project-specific programmes are key to success in understanding and defining “value” – for example, one project is focused entirely on schedule reduction, while another project is focused on fine-tuning of materials delivery and waste management (on a residential type repetitive project), and another team are focusing on reducing the management time and effort spent in communications – reducing time at meetings, length of minutes for example, but in a very targeted approach. Sisk have also launched a Knowledge Management intranet portal, harnessing the best technical solutions and ideas from across the business, sharing with all other projects. Through dedicated communications campaigns on key pertinent issues on areas such as quality alerts, innovative design/construction methodologies, industry-leading technology, the business is increasing company-wide awareness of best practice. Sisk are one of the industry’s leading users of BIM throughout Ireland, and are now using their technology to further increase value, reduce waste and protect the certainty of delivery of projects, following the core principles set out in their Lean programme. All project design information, technical queries and submittals are now managed on a common data platform to which all of their partners on a project have access. The use of 3D modelling is now considered “business as usual”, with 4D implementation also widely in use across many Sisk projects in Ireland and the UK. Typically, they establish a BIM hub onsite on all larger projects, using it to complete design and design coordination in a collaborative way, but also as a fundamental safety, planning and sequencing tool. Sisk have seen a significant reduction in sub-optimal sequencing, eliminated many difficult access issues and improved information transparency, solving issues together there and then using the model. Using drone footage, cloud scanning and interactive whiteboards to co-ordinate and communicate work sequencing has also proven useful. The underlying but critical benefit of these types of technology does not rest simply in the technology itself, however – the key issue is that it actively facilitates the input of our supply chain partners in decision making. This process of interaction creates that shared ownership which ultimately delivers to the Lean philosophy. Sisk’s construction management teams have always taken a very “hands-on” approach to the strategic delivery of projects, with their site management and engineering staff generally working to well-detailed short-term schedules, and their daily whiteboard meetings combined with follow-up walks having generally helped to control progress, sequencing and handoffs to following trades. In recognising that productivity is key to the success of Sisk’s projects, and a fundamental consideration of any Lean programme, Sisk have elevated the priority of tracking and reporting of productivity against key trade packages on their projects. Production outputs on critical path trade packages are tracked weekly against baselined benchmarks and visually represented, giving faster insights into current output and predictive indicators of areas of underperformance. This increases accountability and the visual depiction of progress facilitates timely decision making, along with more robust data upon which to rely when developing future bid submissions for projects with similar scopes of work. These additional project controls are helping the wider team on their projects to share accountability for progress and allows the collaborative solving of problems before they become critical. In summary, Sisk are on a progressive journey in the implementation of their Lean programme, Lean for Sisk. 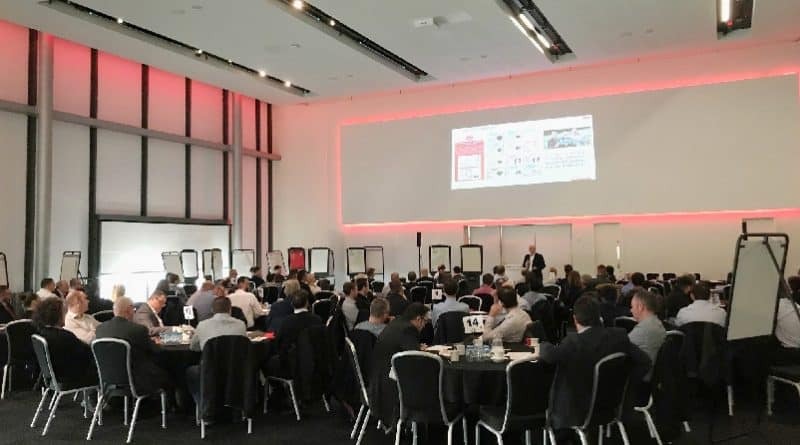 They continue to push the boundaries in finding innovative solutions to the challenges the construction industry faces every day and are focused on driving a collaborative culture throughout their business so as to maximise their value offering. Certainly, from the outside looking in, this is a business with a clear vision in mind, and a strong team empowered to implement it.